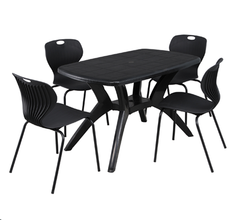 We offer Plastic Dining Table. 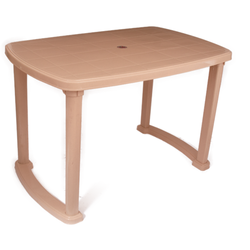 Our company has earned accolades for providing Plastic Dining Table to clients. This product is extensively used in hotels, cafe, home and other related places. Plastic Dining Table is made by our skilled professionals using top quality material and advanced technology in adherence with predefined quality standards. - Actionware offers you wide range of Chairs and Tipoi Table. - Premium quality plastic material. - Unique folding table with top made of synthetic resin and folding base made of aluminium. We bring forth vast industrial experience and expertise in this business and are involved in providing Plastic Table.Price:Rs.1556.5+(including GST).